About That Pinterest API? It’s Not Ready Yet. 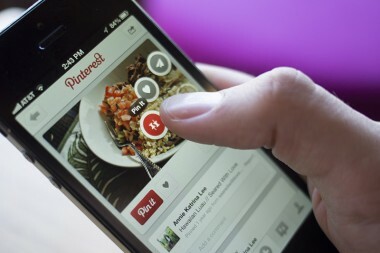 Part of building a lasting Internet company that matters is becoming a platform that goes beyond your own site and apps — but Pinterest isn’t quite ready for that step yet. The company is indeed working on an API — that would presumably help developers integrate its content and activity and accounts into their own products. And a few select partners have access to a test version now. But the API is not done yet, and there’s no timeline for its delivery date, said Jon Jenkins, the company’s head of engineering, at a developer event today at Pinterest headquarters in San Francisco. Jenkins wouldn’t even commit to delivering an API this year, saying that he wouldn’t want to speak out of turn before Pinterest CEO Ben Silbermann gives the green light. Jenkins explained that the delay is out of concern that Pinterest create something that’s really good, and because the company has prioritized other things, like rebuilding its entire product to be more “modular” so its 70 engineers aren’t stepping on each others toes, and keeping up with growth. In the next week, the company is adding “long press functionality” to its iPhone app, so that users can use their touchscreens to get more options. Pinterest does already have sharing buttons and widgets on many sites, including eBay and Amazon, as well as free analytics tools it provides to publishers and brands. But it’s trying to learn from its Internet platform forefathers. “I’ve seen some APIs be released that caused nightmarish decisions down the road,” Jenkins said. “Once you give the developer access and then go and yank it, you’ve pulled the rug out from under them,” he said.